We’ve been providing quality septic services you can trust since 1965. 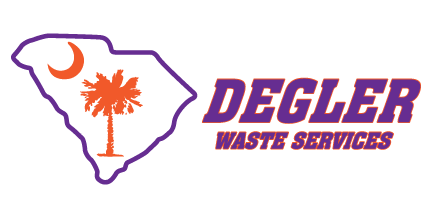 If you are looking for septic services from a company with a proven record of quality work and professionalism, look no further than to our team here at Degler Waste Services. We’ve served the Beaufort, South Carolina area since 1965 with a variety of services to keep your septic system performing as it should. It is our family name on our septic trucks, so it means a lot to us to maintain the goodwill and respect of our customers. We have found the best way to do that is put the needs of our customers first. That means not only providing thorough septic maintenance services, but also advice and education about the health and good care of your septic system. It also means doing a thorough job. Don’t believe it when someone tells you it is necessary to leave some waste behind when pumping the tank. All that does is leave you needing to have it pumped again sooner. We thoroughly empty the tank and professionally clean it so that you can get the maximum time between pump-out visits. We can also jet clean the sewer lines and storm drains, if needed, and inspect lines up to 8” in diameter with a video camera. If it has been more than 3 years since you’ve called to have your septic system serviced, it isn’t a bad idea to get it scheduled. We will take care of it for you and let you know the level it was at so you can better determine how long you can go next time. Factors such as family size, frequency of guests, time spent at home, use of a garbage disposal, and more can vary the frequency between septic services from 3 to 5 years. Feel free to ask us any questions you may have about timing your septic services to meet your situation.